For 40 years Pacesetter Travel has been the largest single retail agency in North America specializing in Long Haul travel. We have dedicated teams of destination specialists who have travelled extensively all over the world and are ready to design the vacation of your dreams based on first hand knowledge. Our staff go through rigorous training to obtain expert status for the destinations they work with and they are all certified Travel Counsellors where required by provincial law. 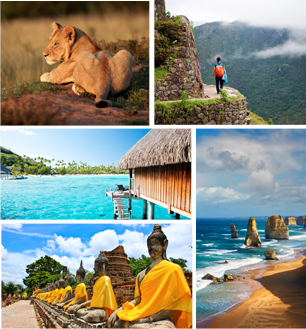 While our origins are in Australia and New Zealand we have evolved over the years to include in our portfolio, Asia, Africa, The Worlds Most Idyllic Islands and more recently Latin America. We deal directly with all major airlines, hotel and tour operators, to provide the most competitive prices from thousands of options available making the planning experience more enjoyable. This allows you to get the best value for the investment you make in your vacation. We can provide you with anything from backpacker air fares to fully escorted first class tailor made tours. 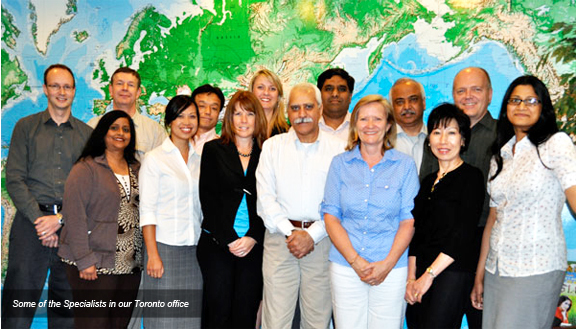 We have offices in Toronto and Vancouver so it is easy for you to meet us in person. We also have our own offices Los Angeles, Sydney (Australia) and support offices in other destinations around the world to be of further service when you are travelling so whenever you book with us you have the knowledge that we are with you from the moment you call to the time you return from your travels.